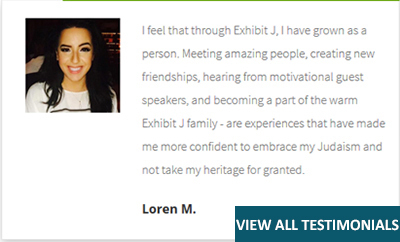 What is Exhibit J Learning Experience All About? 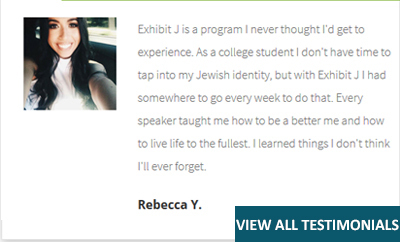 Exhibit J Learning Experience is a NEW weekly interactive learning program designed for young Jewish adults on Staten Island who are looking to be part of a vibrant and expanding community of incredible young people who value growing together in their lives and in their Judaism. During the weekly sessions, students work in pairs, navigating through text, tasks, and thought-provoking questions set for them by the instructor. Afterwards, the groups merge for solution and discussion with the instructor. Who is Right For Exhibit J Learning Experience? 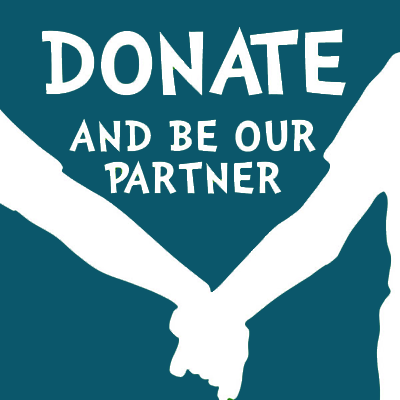 Young Jewish adults on Staten Island, both beginners and those knowledgeable in their Judaism. When Can I Join Exhibit J Learning Experience? Where Does Exhibit J Learning Experience Take Place? Here are the handouts from all our Tuesday night EJLE sessions. Review, enjoy, share and dispute with friends!